Who doesn’t love a bright punch of color? Hot pink and orange is perfect to deliver just that! 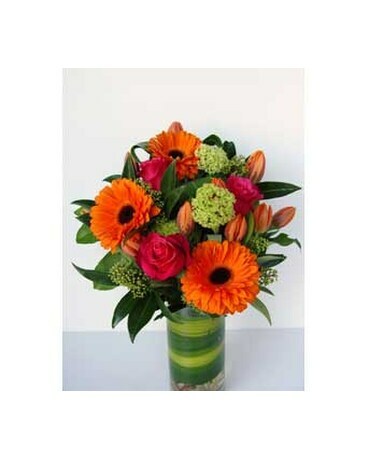 Gerbera daisies, roses, tulips and viburnum are presented in a leaf wrapped cylindrical glass vase.